So I remember as a kid sometime after Sesame Street, Bob Ross would come on and show the world how to create "Happy little trees" using just a canvas, paint, and some soft spoken words. As a recent new owner of an iPad, a device hailed by Steve Jobs as "Magical and Revolutionary" I have been rather obsessed with drawing apps for it. There are many out there. AutoDesk's Sketchbook Pro really stood out for me because it seems powerful enough for a real artist to use. I say "seems" because I am about as much as real artist today I was at the age I was watching Bob Ross on TV. So what do you think? 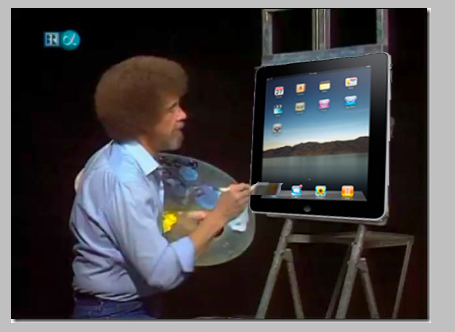 Is this app Bob Ross approved?